I haven’t finished designing the cover. I made a little typographic doodle and cut it out and stuck it on the cover. I will probably change it. 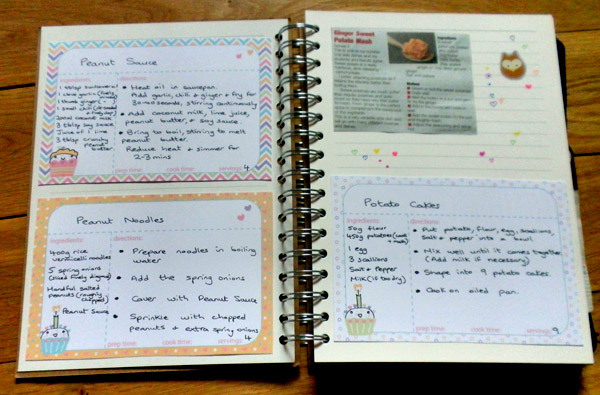 My recipe book is a work in progress, because I am only storing recipes that have been tried out and I actually like. So it will be a while until the book is filled. Some of the recipes that have made it into my recipe book! I love peanut sauce and found a delicious recipe from Irish chef, Donal Skeehan. Being a vegetarian I sometimes take the veggie parts of a meat recipe, such as the sauce or side dish. You can find the Peanut Sauce recipe here. 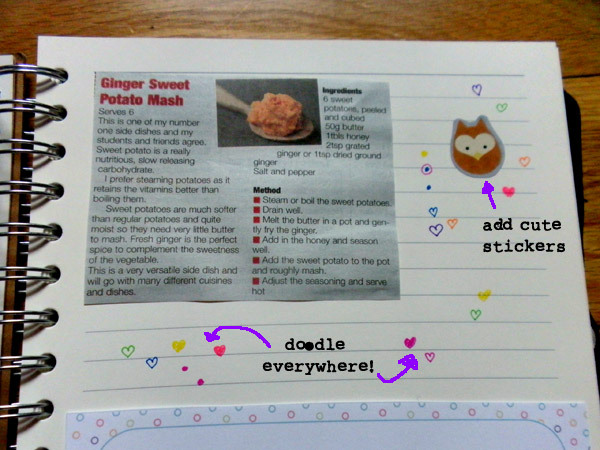 The blank journal gave me space to add stickers and doodles and allowed me to add recipes I got from magazines. 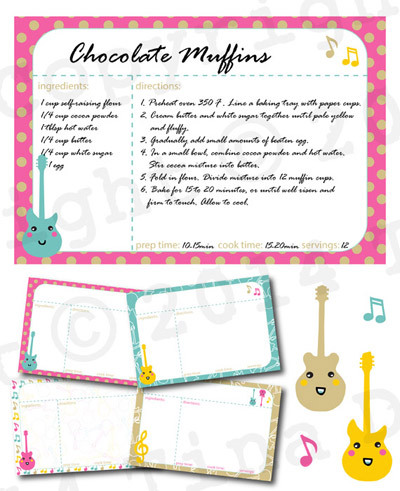 I used Dreaming on a Star’s Printable Recipe Cards to add my recipes. 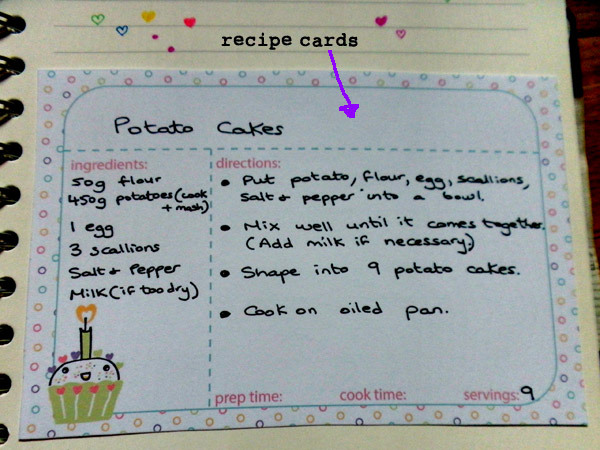 They can be written on in pen or the file can be opened in a Photo editing programme and the recipes typed out. 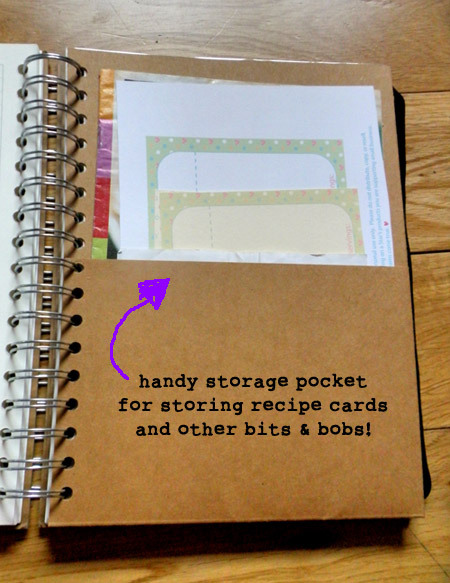 This journal has some handy extras – storage pockets for adding untried recipes and plastic sleeves for adding whatever you like! 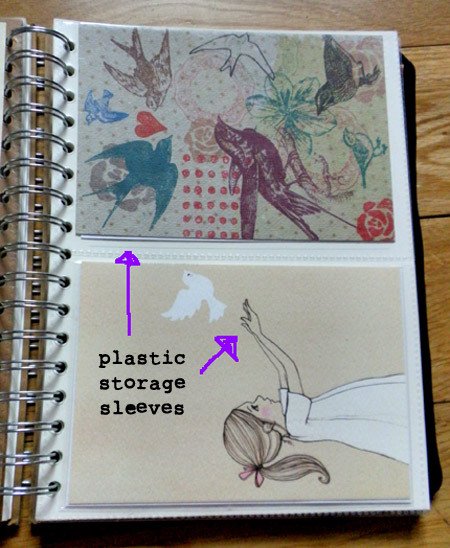 I’ve stored some cute postcards for the time being. I’m really looking forward to adding more recipes. What about you? 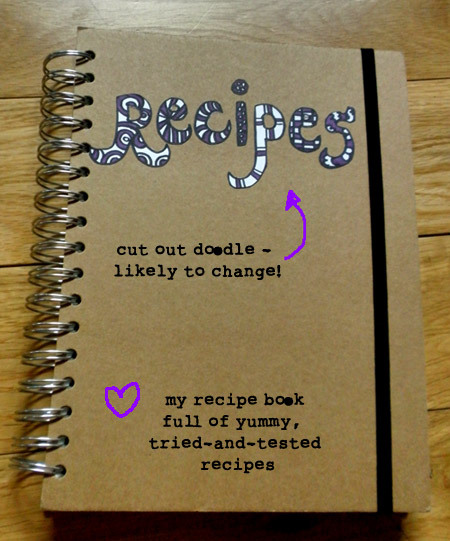 Have you any tried-and-tested recipes that you would like to share? 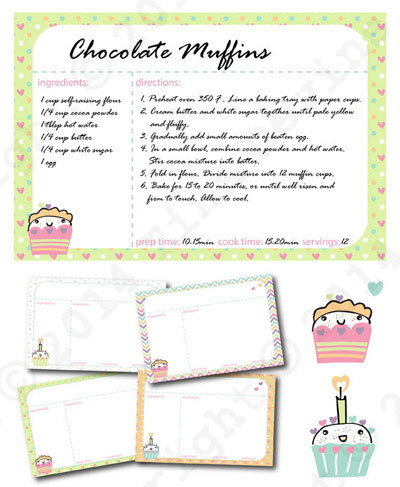 Maybe I will try them out and add them to my Recipe Book!